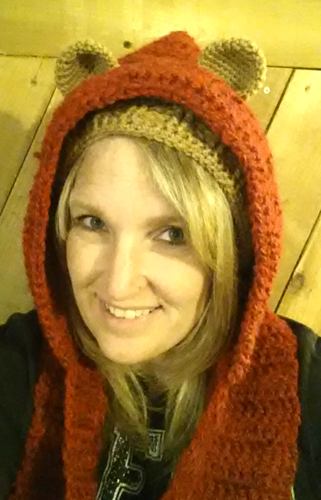 We LOVE hooded scarves at my house and with fall quickly approaching I was in the mood to make a new one. 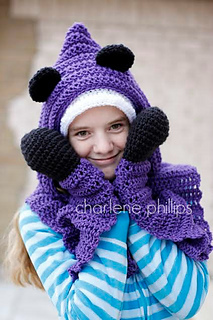 This hooded, HOODED scarf is a fun twist, with bear ears that poke through. Also has “mitts” to keep your paws warm and toasty. Pattern also includes cat and dog ears.